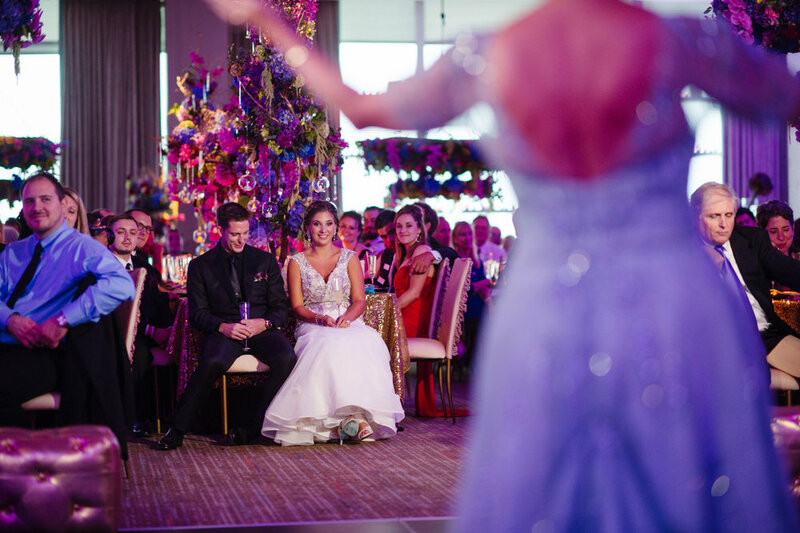 Katie + Tony's wedding was a stunner and off the charts with branding, customization, + details! Actually, the entire weekend was beyond fabulous! The wonderful parents of the bride hosted their guests three days with beautiful events; we can't wait to share those pre + post functions but back to the wedding! 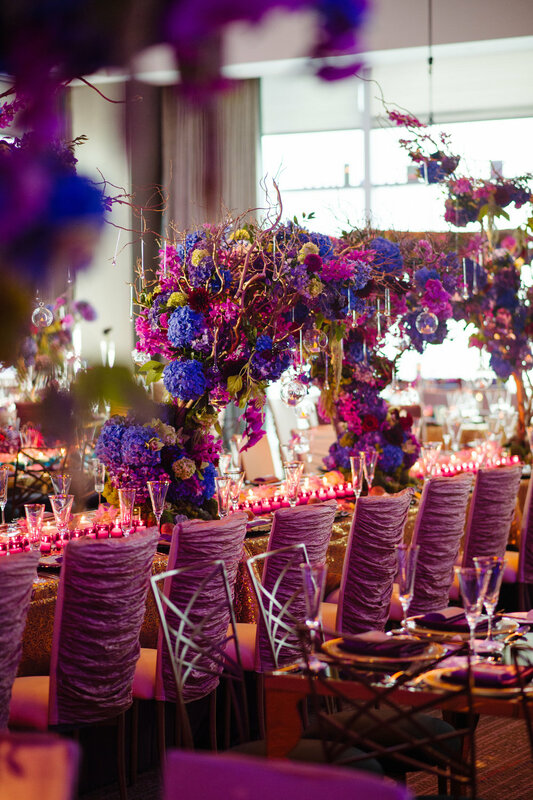 Inspiration began with the bride's love of jewel tones, art, and her lotus ring design. In the words of the bride, "sometimes, as is often the case, nature is capable of depicting the beauty of love, marriage, and life in one small object. The lotus flower grows in shallow, muddy water and blooms beautifully each day towards the sky before sinking below the surface as night falls, to re-bloom again the next day. This peaceful daily rebirth has inspired artists for centuries and is the prominent motif in Katie’s engagement ring and wedding celebration." Throughout the design, we used variations of the lotus literally everywhere--from the monogram to the paper goods to the girls' getting ready sweatshirts to real lotus flowers floating on each table to the cake design to the picture by number guest book to the custom 35 foot gold laser cut wall behind the dance floor. 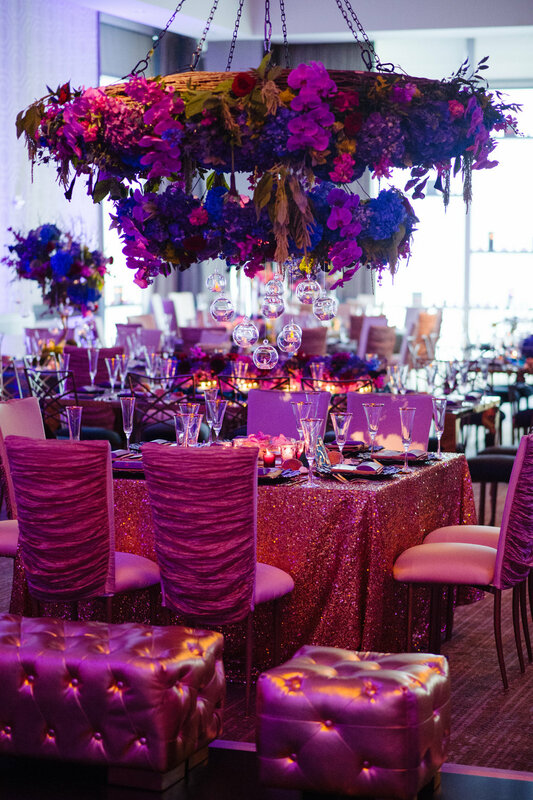 The ballroom was a show stopper boasting a unique combination of rich color, gold metallic, art nouveau flair, sparkle, texture, flowers, and candles. There really are no words to describe the insane amount of design + detail captured beautifully by Michael Will Photography!